I loooove me some broccoli. When it’s cooked, anyway. For some reason the flavor of raw broccoli just really rubs me the wrong way. BUT I know raw broccoli is super healthy, so I try to eat it raw from time to time. 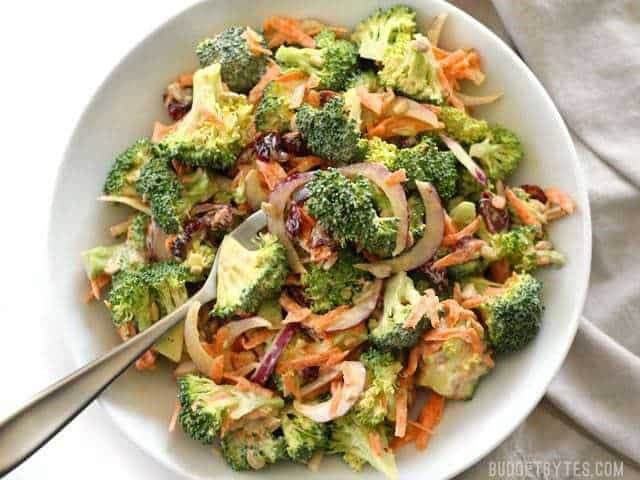 Luckily, when I pair raw broccoli with this light and sweet honey yogurt dressing, all the ickies go away. 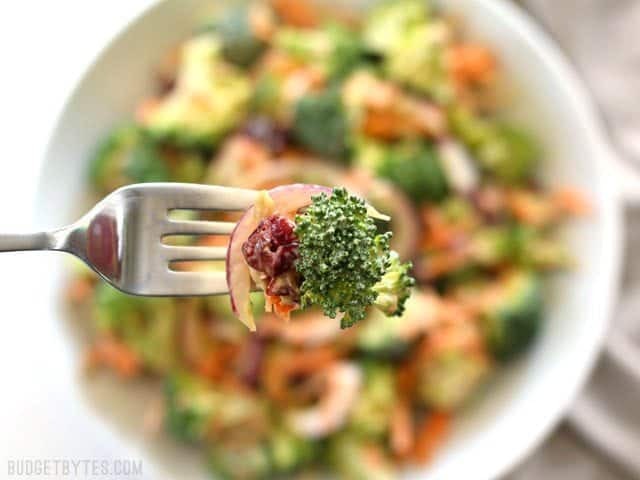 The subtle sweetness and light acidity tone down the super bitter flavor of the broccoli, making a wonderfully light and crunchy broccoli salad. 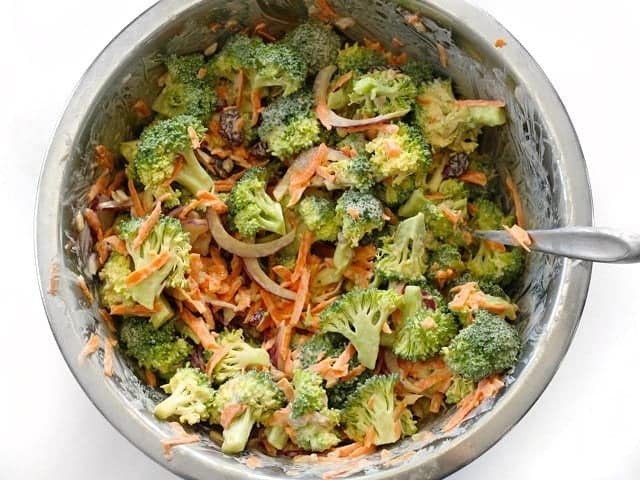 The other reason I love this salad, and dressing in particular, is that it’s so much lighter than many other broccoli salads. Broccoli salads are often drenched with delicious but super thick and heavy dressings that leave me feeling like maybe I just ate something bad instead of good. This dressing, on the other hand, is light and fresh, and doesn’t leave me feeling weighed down. YAY. There will undoubtably be some of you out there who ask yourself, “Hmm, I wonder if I can use all Greek yogurt instead of mayo and yogurt combined.” and I really wouldn’t suggest it. 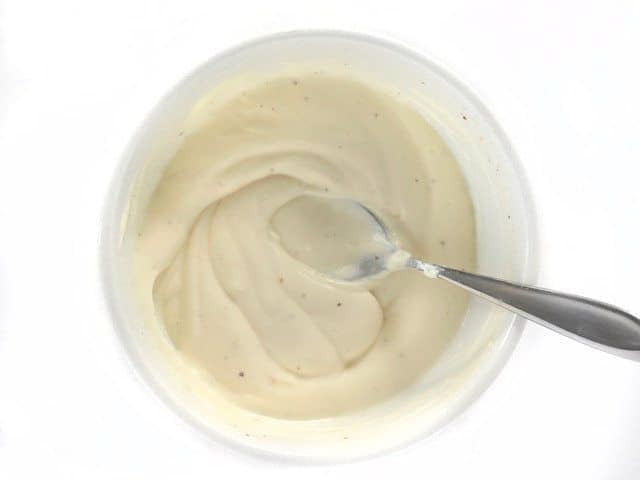 While Greek yogurt and mayo are both considered creamy and tangy, they have different types of creamy textures and different tangy flavors. I find you need at least a little mayo in there to really get the richness needed to make the salad just right. Same goes for the fat content of the Greek yogurt. While technically a fat-free Greek yogurt will “work”, a reduced fat (2%) will give you a much better flavor and texture. 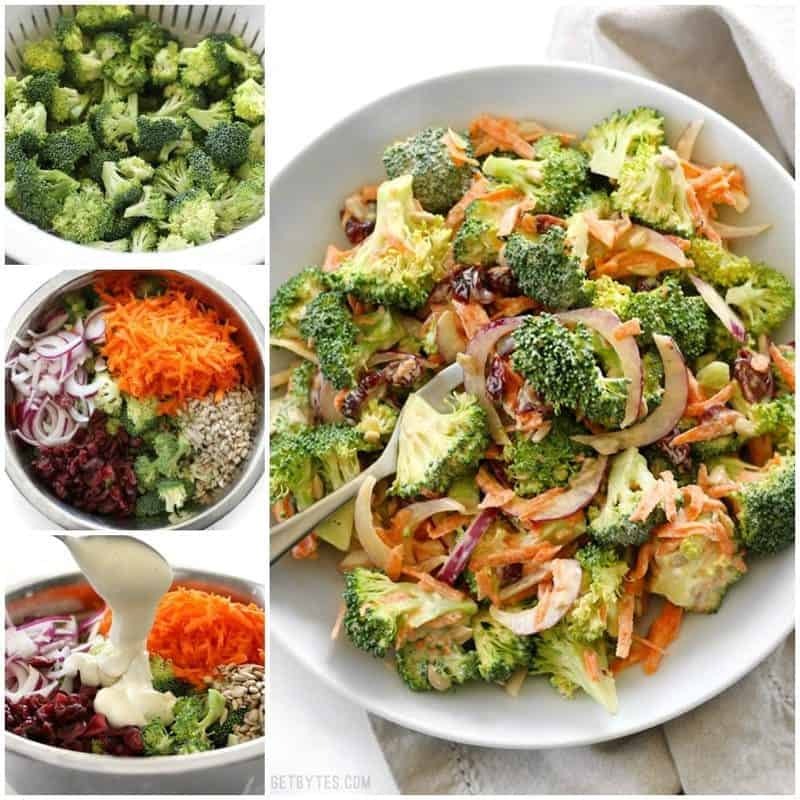 Broccoli Salad with Honey Yogurt Dressing is light and refreshing raw salad for summer. 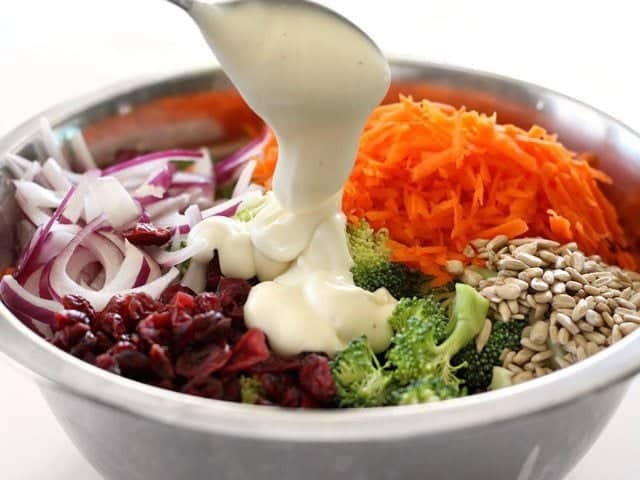 Prepare the dressing by stirring together the yogurt, mayonnaise, vinegar, honey, salt, and some freshly cracked pepper (about 10-15 cranks of a pepper mill). Set the dressing aside. Cut the broccoli into very small florets. Place the florets in a colander and rinse with cool water. 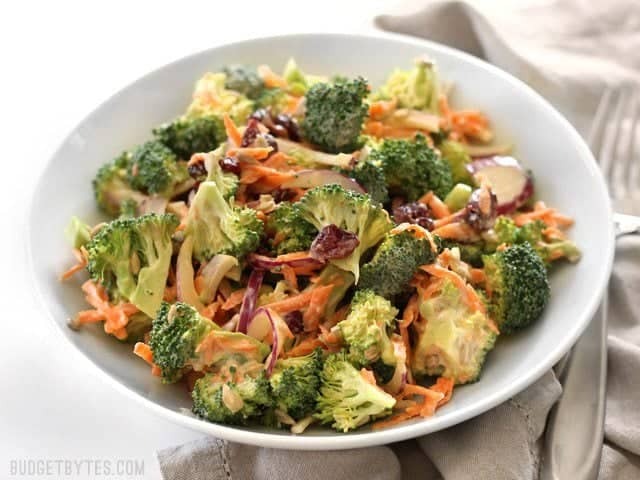 Let the broccoli drain while you prepare the rest of the salad ingredients. Peel the carrot, then use a large-holed cheese grater to shred the carrot. Slice the red onion into paper thin strips. 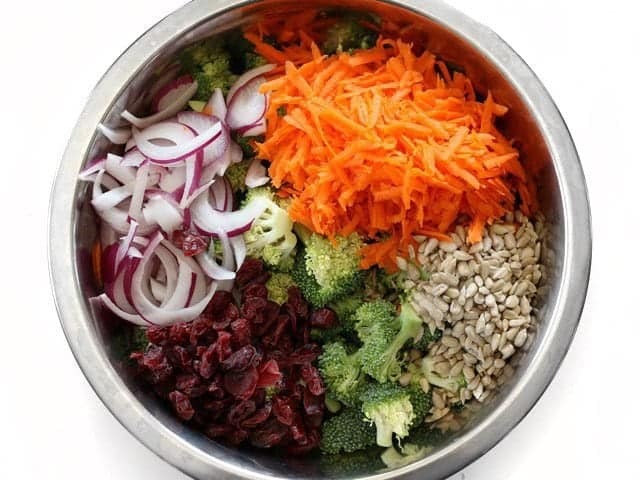 Add the rinsed and well drained broccoli to a large bowl, along with the shredded carrot, sliced red onion, cranberries, and sunflower seeds. Pour the prepared dressing over top, then stir until everything is coated in dressing. Let the salad marinate for 10-15 minutes before serving. Give the salad a brief stir just before serving to redistribute the dressing. Cut two crowns of broccoli into very small florets (about 4 cups of florets, 1.25 lbs. of broccoli crowns before removing the stems). The key here is to make the florets really small, so they actually fit on a fork and combine well with the other ingredients. Place the florets in a colander and rinse with cool water. Let the florets drain while you prepare the rest of the ingredients. Peel and shred one carrot. Slice 1/4 red onion very thinly (I had leftovers in my fridge from my Kale Salad). You’ll also need 1/3 cup dried cranberries and 1/4 cup raw sunflower seeds. 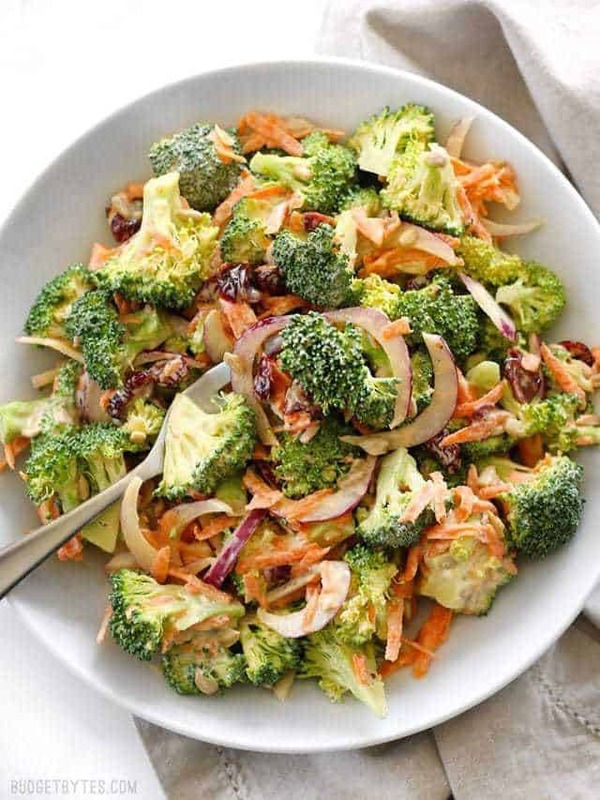 Once the broccoli is well drained, place it in a large bowl along with the shredded carrot, sliced red onion, dried cranberries, and raw sunflower seeds. And stir until everything is well coated in dressing. 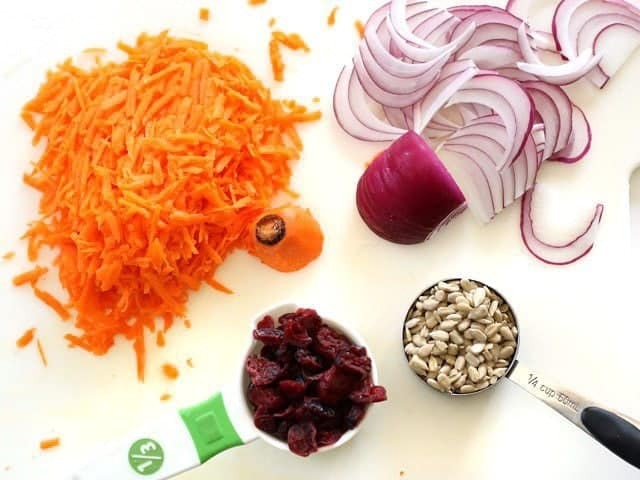 Now, here’s the secret: let the salad sit for 10-15 minutes for that dressing to really grab hold and mingle with the flavors of the carrot, onion, and cranberries. Give it one final stir, then serve. This. Is. Heavenly!!! I used normal plain yogurt instead of Greek plain yogurt and had no problems. Very tasty…. I had enough broccoli for half a batch (all for me)! I really do love your recipes. This is definitely a crowd-pleaser :) Easy to whip up and share, or keep for yourself! Great salad- made for a pot luck lunch at work last week- it was a big hit! I subbed the carrot and used green apple and cabbage. Awesome! My stomach can’t handle raw cruciferous veggies…but this looks so darn good 😣 Do you think raw sugar snap peas would work or something else? One of our favorite salads! 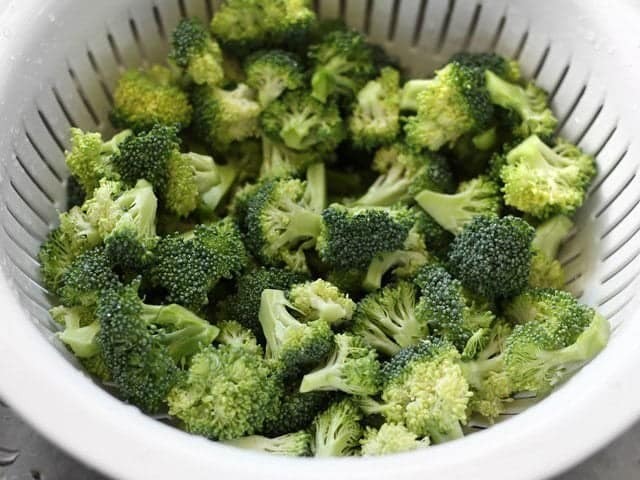 I can’t stand raw broccoli either – I just very lightly steam mine – just until it’s bright green but still mostly raw and it cuts the bitter flavor. After steaming in the microwave just run cold water over it and drain. It makes a world of difference.